Transfer pricing was a hot topic in litigation this past year. Chevron settled a $340 million AUD tax dispute with Australian tax authorities, Amazon and Medtronic won their respective lawsuits against the IRS for millions in back taxes, and the EU targeted Ireland and Luxembourg for illegal state aid of large multinational companies attempting to take advantage of their lower tax jurisdictions. In a post-BEPs landscape, transfer pricing is on the radar of tax authorities worldwide. Given the momentum built in 2017, the coming year is slated to see even more activity in the sector. Apple’s transfer pricing arrangement with its Irish subsidiary was the subject of a European Union lawsuit in 2016. SA. 38373 $- Aid to Apple ended poorly for the tech giant; Apple was compelled to pay out €13 billion bill in back taxes after the European commission ruled that its deal with the Irish tax authority was effectively illegal state aid. Given the recent revelations from the Paradise Papers concerning Apple’s activities on the Channel Island of Jersey, the company will likely face more legal action from EU tax authorities in 2018. Amazon will be forced to pay out $294 million to the EU after transferring millions in assets, including valuable IP, to a Luxembourg shell company after the European commission ruled against the e-commerce company in 38944 $- Aid to Amazon. The European commission will continue to investigate Amazon’s transfer pricing methods in other tax havens, such as Ireland, in the coming year. Domestically, the IRS is appealing its loss against Amazon to the Court of Appeals for the Ninth Circuit. The $1.5 billion lawsuit, Amazon.com Inc. v. Commissioner of Internal Revenue, 148 T.C. No. 8, alleges that Amazon’s transfer pricing activities were not conducted at arm’s length, thus the company is liable for over a billion in back taxes from 2005 and 2006. Read more about the Amazon v. IRS dispute and decision in our blog series. Starbucks is under scrutiny by the European commission for its asset transferring activity in the Netherlands. In 38374 State Aid Implemented by the Netherlands to Starbucks, the company was ordered to pay €30 in back taxes for its transfer pricing activities in the country. The EU will continue to keep the company in its sights for increased tax liability. McDonald’s is under investigation by the EU for its failure to pay corporate taxes in Luxembourg and the US for royalties derived from European franchisees. In 38945 Alleged Aid to McDonald’s- Luxembourg, the European commission is looking to determine whether Luxembourg is providing illegal state aid to the fast food company through its tax arrangements. Medtronic is the subject of a lawsuit filed by the IRS for its transfer pricing deals in Puerto Rico. The company won the $1.3 billion lawsuit, Medtronic Inc. v. Commissioner of Internal Revenue, T.C. Memo. 2016-2017, but the IRS is seeking a reversal of the ruling with the Court of Appeals for the Eighth Circuit by challenging the Tax Court’s use of the comparable uncontrolled transaction (CUT) method for analyzing Medtronic’s intercompany transactions. 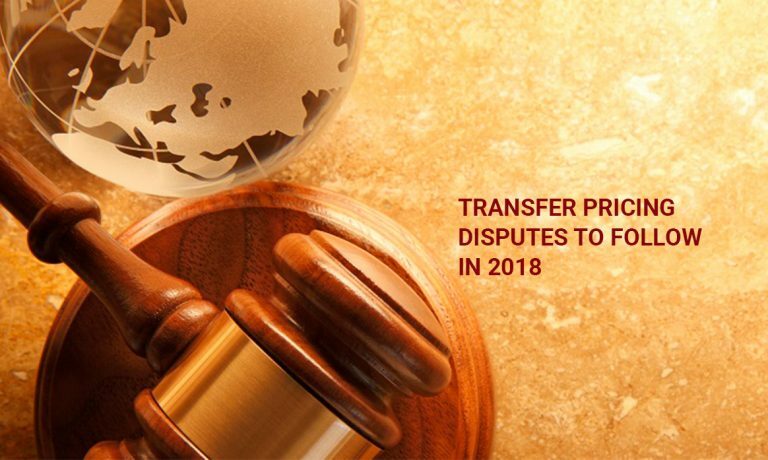 Other big names such as Facebook, Ikea, Gap, and Microsoft may also be the subject of transfer pricing litigation in the coming year. Stanford accounting professor Lisa De Simone argues that tax shifting done by large multinational corporations is vastly underestimated, making it very likely that even more tax evasion lawsuits are on the horizon in 2018 and beyond. As a ktMINE research analyst, Debra Smetana processes and examines intellectual property daily. Her primary focus is interpreting license agreement structures. With her extensive studies of Archaeology, Debra specializes in qualitative research and can translate data into compelling narratives. She uses ktMINE’s data and analytics platform to identify IP patterns that can a provide insight into a company’s strategy and industry trends.